Some riders tell me they have a problem when a course they are riding requires a roll back and a lead change. Some horses pick up the lead change in front but not in back. This is a problem that can pop up in any discipline and the cause is one of three things. The first is simply that the rider is not clearly communicating the desired action and is the cue is confusing the horse. The second is that the rider is communicating correctly but the horse has not learned the cues. The third is that the horse knows the cues but is dropping the shoulder. If your horse has this problem here are some suggestions that may help. 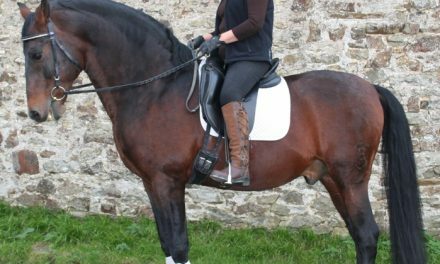 If your horse used to do a lead change correctly, you are asking properly but the horse’s shoulder is dropping because you have not taught him to be balanced. We don’t want the horse to be on the forehand. We want the horse to be balanced from front to rear, if not collected. That is what a half halt does for us as we approach a lead change or a jump. It is natural for a horse to drop the shoulder. I’ve seen horses that are naturally balanced from front to rear but are not balanced from right to left. The shoulder will be dropped or bulged out as the horse is running in an arc. You need to reinforce the cues doing flat work. The horse will naturally drop a shoulder to the inside working a circle. When the shoulder is dropped, the horse will only pick up the front lead. 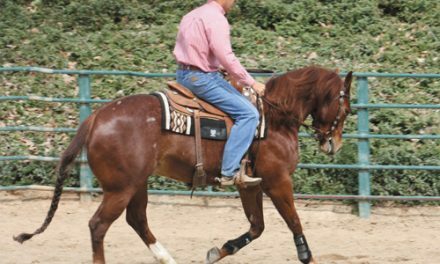 Training and gymnastic exercises using the inside rein and leg to get the shoulder up right as the horse makes a turn will correct this problem. 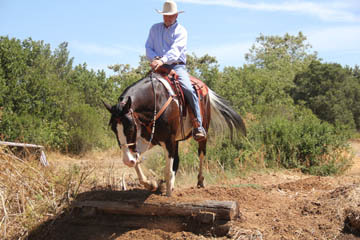 If the horse has picked up only the front lead, stay on it until the shoulder is upright, or balanced left to right, and the horse may correct itself. 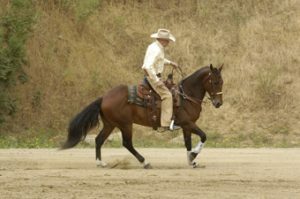 If the horse is listening to your inside rein and leg cues, when you make the turn the shoulder will be upright and as you come out of the turn the horse will be able to make a clean lead change. We teach the horses here at the barn to do lead changes anywhere. Personally, I don’t like to teach a horse to change only on a curve but that is a good way to start or reinforce the cue. I like the horses to be able to change on a straight line so they can learn to stay balanced. When you are riding a course where you have to do a tight roll back and you are on the left lead and you must turn right, the horse must switch leads immediately. An upright shoulder will allow your horse to make a clean change.